Road trip planning is essential when visiting California (CA) simply because of the wealth of choices. We've compiled a buffet of scenic drives for every taste: winding road trips through towering sequoias, cliff-hugging Pacific shoreline routes, shimmering straightaways through desert canyons, and eye-popping mountain passes. In California, the best road trips are about the journey and the destination. You can look forward to a huge variety of natural wonders, parks and roadside attractions. And with plenty of eateries and other amenities along the way, you can always find a place to spread out your road trip map and start planning your next California adventure. 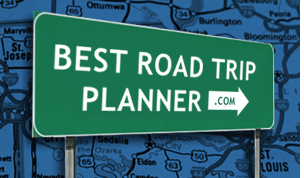 We invite you to use our free road trip planner to find a scenic drive that's right up your alley. This trip is all about getting away from people! There are no towns between the start and end points along this road trip. There are plenty of towns you'll be passing through along this route. Lots of opportunities to pull over, stretch your legs and explore.